No fossil manakins have been reported. Peters Checklist considers the manakins to be a distinct family (Pipridae) with 17 genera and about 54 species. Based upon DNA-DNA studies and other characteristics, many experts now consider the true manakins to be a subfamily (Piprinae) of the suboscine passerine family Tyrannidae (tyrant flycatchers). This subfamily is comprised of 11 genera and 41 species, including the genera Heterocercus, Chloropipo, Xenopipo, Chiroxiphia, An-tilophia, Manacus, Ilicura, Corapipo, Masius, Machaeropterus, and Pipra. 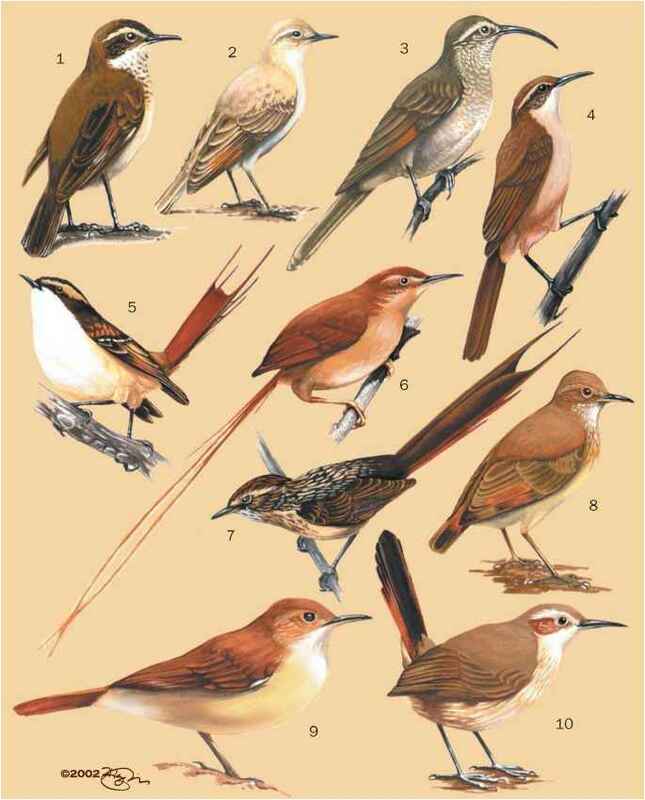 The following six genera, comprising 13 species, are no longer grouped with true manakins under this taxonomic system and will not be covered further in this discussion: Sa-payoa, Schiffornis, Tyranneutes, Neopelma, Neopipo, and Piprites.